Can Android 2.3 and a super-slim new body salvage Sony Ericsson's Android ambitions? The best phone of 2011 so far, and it's not even dual core. Sony Ericsson has finally created the standout smartphone it's been after for so many years. Update: You can now check out thoughts on the upgrade to this phone in our Sony Ericsson Xperia Arc S review. Sony Ericsson's original Xperia X10 was a brave first go at an Android phone, offering a large screen, a collection of social media enhancements and a stylised version of Google's rapidly growing mobile operating system. However, the X10 was hindered by delays, held back by glitchy software and arrived running the already ageing Android 1.6 – and only received an update to 2.1 recently. It was, to put it mildly, a bit of a mess. 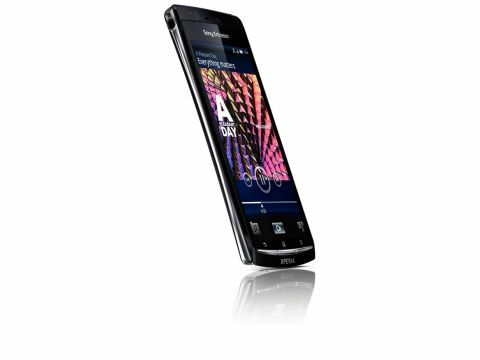 The Sony Ericsson Xperia Arc obliterates all of those awkward memories in a flash. It's running the very latest Android 2.3.2 version of the OS. It's arrived on time. It's fast, and it's very, very stylish indeed. And it's not that expensive for a single-core Android phone in 2011 at £430 SIM free or £30 per month on contract – can Sony Ericsson's Reality Display, Bravia Engine and Exmor R buzzwords win pocket space in today's extremely crowded Android marketplace? First impressions are that the Xperia Arc is unbelievably, impossibly thin. It's also flared slightly around the back, giving the rear of the phone a slightly fatter top and bottom. And it's light, too – a mere 117g. The rival Google Nexus S weighs in at 129g. How it has all been squeezed in is a mystery. The solid-feeling 4.2-inch screen fills much of the front of the phone, with only a few millimetres of bezel to the left and right. The handset itself is only marginally longer than the old HTC Desire – and is significantly slimmer. In fact, you get an HTC Desire HD-sized screen in the body of a much smaller, slimmer phone. But you only get Sony Ericsson's standard selection of three physical buttons – Back, Home and Menu – in reverse order to how they featured in the X10. That will mess with the minds of upgraders. The buttons are solid silvery plastic, plus there's a piercing white LED light shining through the gaps between them to help guide your thumbs in the dark. The top of the phone features an HDMI output hidden behind a little dust stopper, plus a tiny power button. The power button is recessed to stop accidental presses – but so tiny it can be a little hard to find. It's a fingernail job and a bit of a pain. There's also a proximity sensor, which shuts off the screen when it's pressed to your ear. The left edge features the 3.5mm headphone jack, while the right-hand edge houses the micro-USB, a small volume up/down rocker and a physical camera button near the bottom. The back of the Xperia Arc is simple, with its curved case lending it quite an air of style. We've been using this one for over a week, and still keep picking it up to marvel at how thin it is. Turn the screen on and it's bright and sharp. Icons are clear and well defined thanks to Sony Ericsson's Reality Display technology, whatever that may be, with nothing in the way of pixilation on show. It's not quite as sharp as the superb display of the iPhone 4, but is easily on a par with the sharp output of the Samsung Galaxy S' gorgeous Super AMOLED screen. The screen is very usable outdoors in direct light – you don't even have to max the brightness to read text while outside. It's a lovely piece of hardware to have.